This limited time collaboration will be held with Chara Dri (きゃらドリ) which offers special collaboration drinks under COLLABO CAFE HONPO (コラボカフェホンポ) who does collaboration cafés. 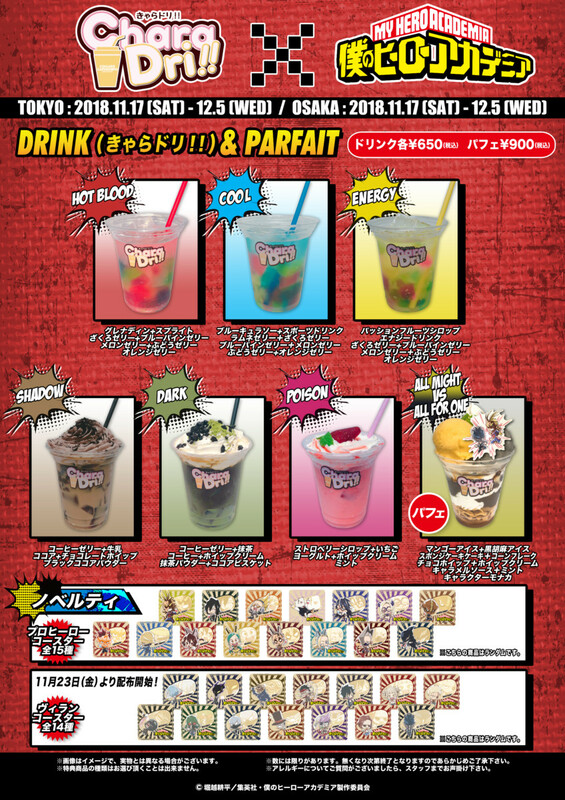 Chara Dri specializes in limited-time collaboration drinks and the collaboration with My Hero Academia will be held from 11/15/18 - 12/05/18 in Tokyo & Osaka and will also include parfaits on the menu. For an order benefit customers will receive an original coaster at random. You may not select your design and coasters are only given out while supplies last! 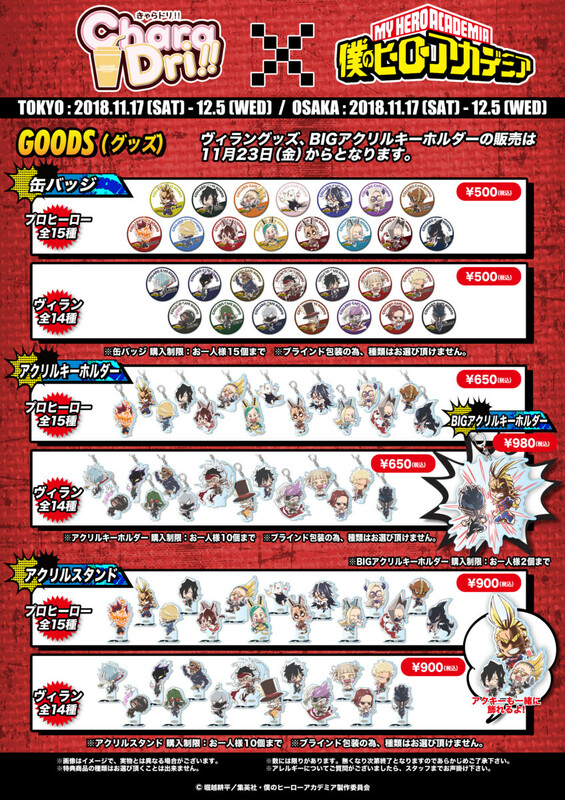 Special goods will also be sold!